Cufflinks serve a real purpose. Since their invention, they have appealed to several generations of men, as they are both practical and discrete to the point of being a fashion must over the past few centuries. 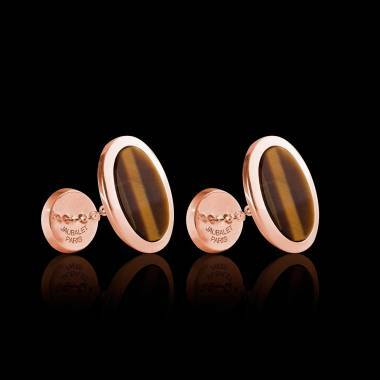 Keeping with the trend, new models are created regularly such as these pink gold silver-gilt cufflinks. Cufflinks are by definition useful items as they are used to fasten shirtsleeves where simple buttons wouldn’t work. Useful yes but not only so! 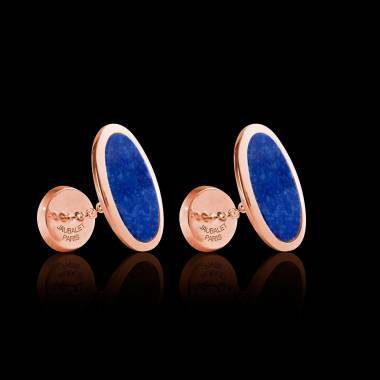 Already in the 19th century, Edward VII made cufflinks set in precious or semi precious gemstones very fashionable. Since then they have not only been simple accessories but real pieces of jewelry that are chosen with care and are proudly worn in professional circles or during grand occasions. 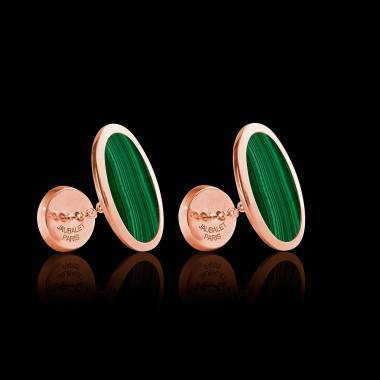 Many luxury jewelry designers have endeavored to create new models of cufflinks that are more stunning, more wear resistant and more durable in order to meet the needs of a generation of fashion-conscious men. In some families, it’s common to give cufflinks to young men as a sign of adulthood. Whether in gold or silver, crystal or cotton, they are without a doubt a wonderful gift and an undeniably useful one at that. 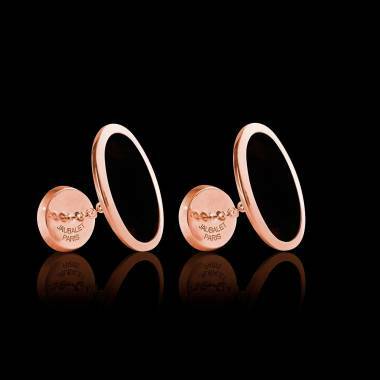 What is are pink gold silver-gilt cufflinks? 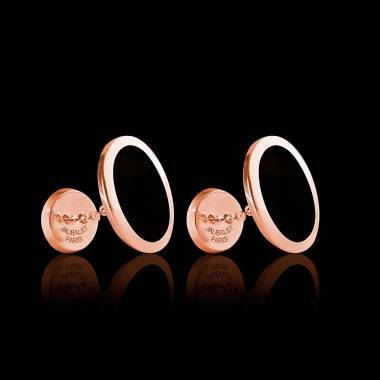 Pink gold silver-gilt cufflinks are actually solid silver covered with a thin coat of pink gold. The chemical process used to do this is called electroplating. This process was initially used with solid gold. 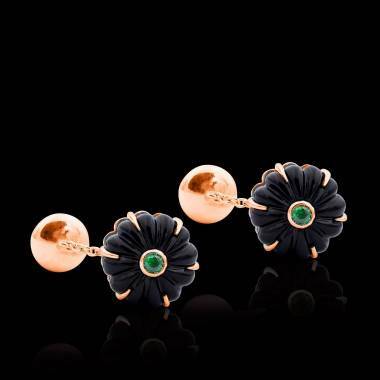 However over the years, jewelry makers have realized the potential in crafting it in other precious metals such as pink gold. 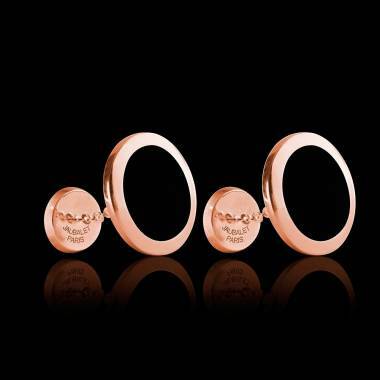 Pink gold is an alloy of yellow gold, copper and silver. Its composition does not make it more or less expensive than yellow gold. The pink color is obtained by a higher percentage of copper in the alloy. In fact the more copper there is the pinker it will be.Even though pink gold has recently been in the limelight, it has existed since ancient Egypt. At that time an alloy of gold and copper was used to produce jewelry. The reasons for this specific alloy are simple: solid gold is naturally soft, mixing it with copper and silver increases its wear resistance, durability and protects it from scrapes and scratches for a long time. Previously considered too feminine, the color has gained popularity with both men and women and suits those wishing to have a piece of fine jewelry that is both discrete and original. Pink gold silver-gilt cufflinks are very resistant and therefore suit “clumsy people very wall as there is little risk of scratching or breaking them. 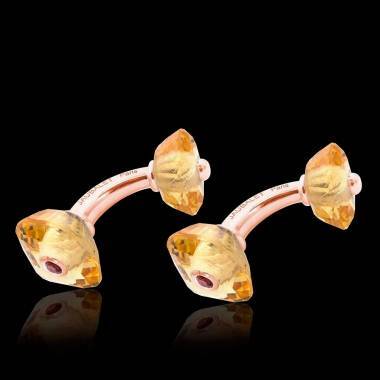 The only drawback is its lack of malleability, because it is difficult to set a gemstone in this metal. In addition, there is no risk of the color eroding so your cufflinks will keep their pink color indefinitely. Care is minimal, just a soft cloth in some soapy water and voilà! The subdued and discrete color is quite fashionable and goes well with any attire. Only advantages for pink gold silver-gilt cufflinks,so follow your desire. 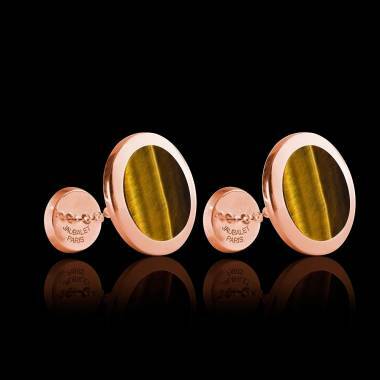 Pink gold silver-gilt cufflinks are very resistant and therefore suit “clumsy people very wall as there is little risk of scratching or breaking them. This lack of malleability can even be problematic because it is difficult to set a gemstone in this metal. 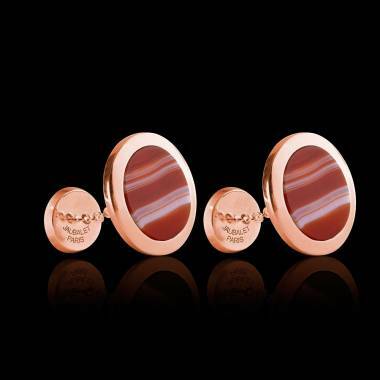 In addition, there is no risk of the color eroding so your cufflinks will keep their pink color indefinitely. Care is minimal, just a soft cloth in some soapy water and voilà! The subdued and discrete color is quite fashionable and goes well with any attire. Only advantages for pink gold silver-gilt cufflinksso follow your desire.